UPPER EAST SIDE — A Brooklyn-based artist known for using everyday materials such as thread, dirt and even chocolate syrup to create extraordinary images is the latest artist chosen by the MTA to design an installation for the Second Avenue subway, the agency said. Vik Muniz will create a series of large-scale mosaics based on photographs of the unique characters New Yorkers sometimes encounter while riding the train, according to the MTA. The mosaics will be displayed throughout the 72nd Street station of the forthcoming subway line, which is expected to open in December 2016. A committee from the MTA’s Arts for Transit program chose Muniz’s concept from more than 100 submissions. Muniz, who is originally from Brazil, often uses unusual materials to recreate images and then photographs the new version. In a project called "Sugar Children," Muniz photographed families who worked on sugar plantations in St. Kitt’s in the West Indies. He then used sugar to make intricate reproductions of the portraits, which were eventually displayed at the Museum of Modern Art. More recently, Muniz’s work was featured in the Oscar-nominated film "Waste Land." The documentary chronicled the artist’s attempt to use garbage from the world’s largest landfill outside of Rio de Janeiro to create portraits of the catadores, or trash pickers, who rely on the dump for survival. The artist did not immediately return a request for comment. 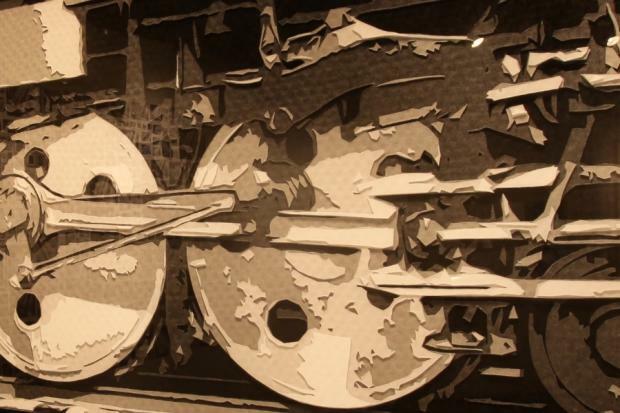 Muniz has worked with the MTA in the past, when a piece he had created for his "Pictures of Paper" series was featured in the Grand Central centennial celebration exhibit. When it comes to working on the Second Avenue Subway, he is in good company. Other stations will features work by Chuck Close, Sarah Sze and Jean Shin. “It’s an incredible roster of artists," Bloodworth said. "It will be great to have this art in the Second Avenue subway in a city that truly appreciates it."